One of Katy Straalsund’s neighbors called Seattle police after hearing a man yelling and threatening her in March 2016. Officers broke into her basement apartment and pried Casey Henderson’s arm from around her throat. Straalsund died two days later. Katy Straalsund was beaten so viciously her own father didn’t recognize her when he walked into her hospital room two days before she was taken off life support in March 2016. But Eric Straalsund said he didn’t know until just before his daughter’s killer was sentenced Friday how prolonged the attack on the 22-year-old University of Washington student was. His daughter was beaten and strangled by her then-21-year-old boyfriend, Casey Henderson, who was also a UW student at the time. Originally charged with first-degree murder domestic violence, Henderson pleaded guilty in January to the lesser charge of second-degree murder domestic violence and was sentenced Friday to just over 18 years in prison. 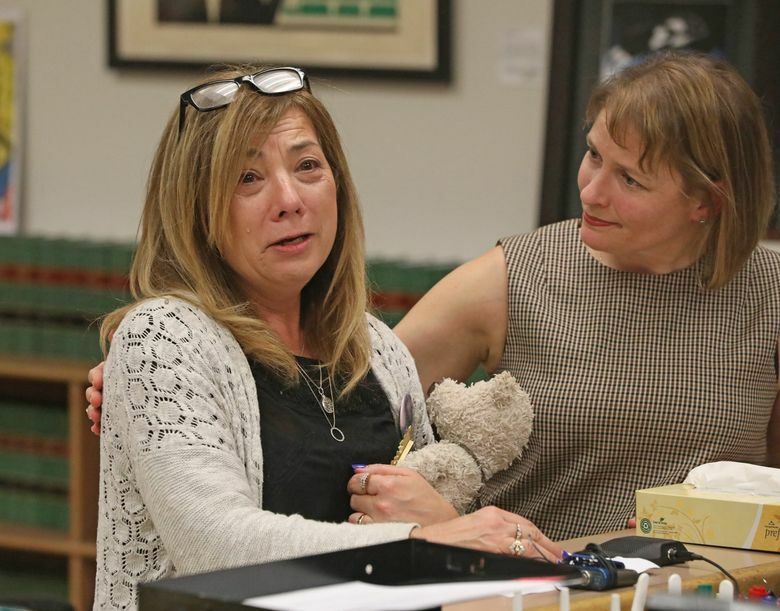 Eric Straalsund’s wife, sister-in-law, daughters and son all addressed Superior Court Judge Veronica Alicea-Galván, each speaking about the gaping hole that’s been left in their family, of Katy Straalsund’s intelligence, kindness and dreams for the future. Instead of planning her graduation party, her oldest sister Erin Anderson said she planned Katy Straalsund’s cremation and bought an urn. The family later scattered her ashes in Spain and other “places she should’ve seen with her own eyes,” Anderson said. The family also spoke about domestic violence and the worrying signs they saw in Straalsund’s relationship with Henderson as they begged Galván to impose the harshest punishment she could. Galván did, sentencing Henderson, now 23, to the top end of the standard sentencing range. “Despite her young age, she has left an extraordinary legacy of love, bonding, courage and strength,” Glaván said of Straalsund. Henderson’s mother, Christina Henderson, sobbed as she spoke of her shame and guilt over the heartbreak caused by her youngest son and her belief “he would not have committed this crime” if not for using LSD. “On behalf of Casey and my entire family, I apologize to the family of Katy,” said Henderson, who is South Korean, as she turned and bowed deeply to Straalsund’s loved ones. Henderson also apologized for being the cause of so much pain. Henderson’s defense attorney, Tim Leary, argued in a sentencing memo that the court should impose a low-end sentence of just over 10 years. He pointed to Henderson’s LSD use, young age at the time of the crime, and his acceptance of responsibility as mitigating factors to warrant a lesser sentence. 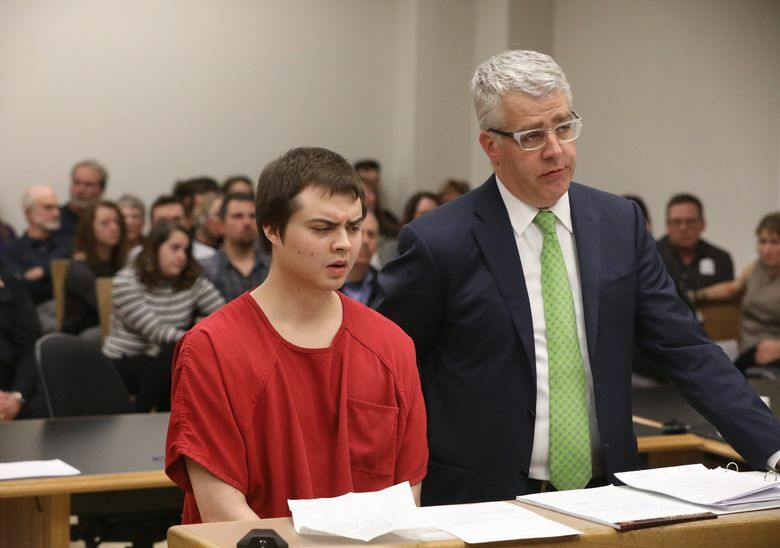 Senior Deputy Prosecutor Mary Barbosa said the state took Henderson’s youth and drug use into consideration in agreeing to the reduced charge, despite ample evidence of premeditation in the attack that led to Straalsund’s death. Had he been convicted of first-degree murder, Henderson would have faced a prison term of 20 to 26 years, she said. “That is all the leniency he should receive in this case,” Barbosa said. One of Straalsund’s neighbors heard Henderson yelling and threatening Straalsund for 20 minutes before beating and choking her on March 20, 2016. The neighbor, who was in court Friday, called 911 and while he waited for police to arrive, he audio-recorded the sounds he was hearing. Barbosa said it took the young man a while to realize he wasn’t listening to a horror movie or TV show in the unit below his apartment. When officers arrived, the neighbor directed them to the basement unit of an apartment building in the 2200 block of Northeast 50th Street. Officers could hear both a male and a female voice, along with yells, moans and screams, but when they announced themselves it quieted down. One officer went around the building and was able to see through a glass door that Henderson had Straalsund in a chokehold. Officers forced their way into the apartment, pulled Henderson off Straalsund and started performing CPR on her. Straalsund, who grew up in Richland, died two days later at Harborview Medical Center. Her family worked with the UW to establish a memorial scholarship in her name.